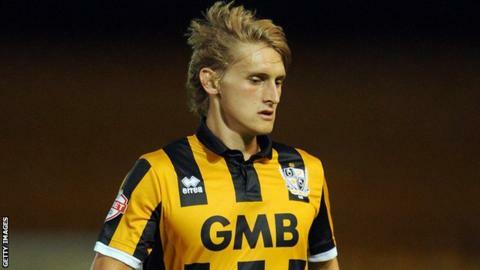 National League side Torquay United have signed Port Vale defender Nathan Smith on a three-month loan deal. Smith, 19, signed a two-year contract at Vale Park in June, having spent most of last season on loan at non-league Stafford Rangers. "This is a fantastic opportunity for Nathan to go out, develop and hone his skills," said Vale boss Rob Page. "We see a lot of potential in him and he is certainly someone we're excited about for the future." Smith's addition takes the number of summer signings at Plainmoor to eight. New manager Paul Cox has so far brought in Bayan Fewnwick,Exodus Geohaghon,Waide Fairhurst, Shepherd Murombedzi,Dan Butler,Tyrone Marsh and James Hurst.